Arthritis is a common yet painful malady characterized by joint pain and swelling, accompanied by a decreased range of motion. Osteoarthritis, the most prevalent form, results from a loss of cartilage between bones, leading to pain caused by friction. Rheumatoid arthritis, an autoimmune disorder that can cause widespread pain throughout the body, occurs when a person’s own immune system mistakenly attacks their joints, resulting in swelling and stiffness. These conditions can cause chronic pain and reduce the quality of life. Fortunately for sufferers of arthritis, spending time in your hot tub may provide temporary relief from arthritic joint pain. In a controlled study examining the effects of spa therapy on patients with severe osteoarthritis, researchers found significant reduction in pain after just two weeks. In fact, patients undergoing spa therapy experienced less pain than those undergoing drug therapy at the same time. Likewise, a study of patients with rheumatoid arthritis demonstrated that hydrotherapy reduced pain, tension, and joint tenderness. 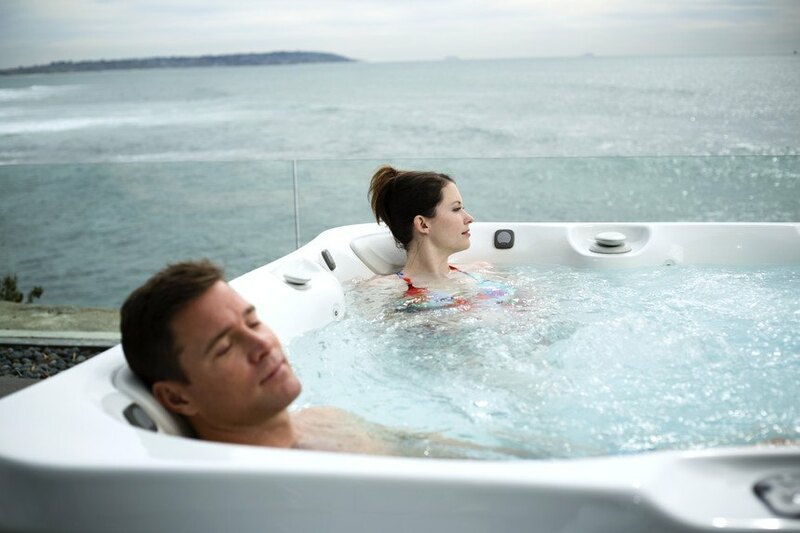 While any medical decisions should be made in consultation with your doctor, for sufferers of arthritis or rheumatoid arthritis, a hot tub may be a pleasant method of temporarily reducing pain and improving your quality of life. Akin to the way it might help people suffering from arthritis, spending time in your hot tub may also ease some symptoms of fibromyalgia. Fibromyalgia is a disorder involving chronic pain and fatigue throughout the body, often resulting in disturbed sleep and an impaired ability to focus or concentrate. It can cause disruptions at work and disturbances at home. As with arthritis, a study of the effects of hydrotherapy on fibromyalgia patients showed demonstrable benefits. Following a course of hydrotherapy treatment, patients reported improvements in physical functionality, sleep quality, and the ability to do their jobs, accompanied by a reduction in pain intensity, fatigue, stiffness, anxiety, and depression. Of course, these studies are limited in scope and should not be taken as medical advice. Before determining whether a hot tub can help you manage your fibromyalgia symptoms, consult with a qualified medical professional. According to one estimate, 80% of all Americans will suffer from lower back pain at some point. The University of Maryland Medical Center refers to lower back pain, also known as lumbago, as “the leading cause of disability in Americans under 45 years old.” Lower back pain, whether chronic or acute, can severely impact the quality of life. It can make performing everyday activities—going to work, driving, shopping, doing household chores—a difficult and painful challenge. It can also cause sleep loss. In multiple studies, people living with chronic back pain who underwent hydrotherapy treatment, either on its own or in combination with other treatments, saw a reduction in their symptoms. While these studies do indicate that hydrotherapy may positively impact people suffering from lower back pain, they do not replace the advice of a doctor or qualified medical professional. To see if hot tub usage may help ease your symptoms, consult your physician. How much of your day do you spend feeling stressed out? The hectic routines of everyday modern life can be a big source of anxiety: waking to an alarm, dealing with commuter traffic or overcrowded trains, fielding calls and emails at work, paying bills, taking care of the kids, putting dinner on the table, repairing your home, repairing your car, repairing your relationships… Wouldn’t it be nice to have a way to let it all go? When you’re in your hot tub, nothing matters except how good you feel. Because it’s more energy efficient to keep your spa at a constant warm temperature instead of heating it up each time you use it, it’s always ready for you. Before you leave for work in the morning, soaking in your spa for fifteen or twenty minutes can help you begin your day feeling rested and focused. At night, it can help you unwind and leave the stresses of the long day behind you. Randomized and controlled studies have shown that the use of hydrotherapy can lead to an improved psychological and emotional state. The combination of warm water and soothing massage jets help work the tension out of your muscles. Your water-induced buoyancy also helps relieve muscle strain, allowing your body to relax as you float. Taking a little time each day to ground yourself in a soothing, comfortable place away from life’s many distractions allows you to focus and helps relieve symptoms of your anxiety. Approximately 132 million Americans suffer from insomnia or other sleep disorders more than once a week, according to the National Sleep Foundation. Lack of sleep can increase feelings of stress, anxiety, frustration, and depression while simultaneously reducing your ability to be productive. This can become a vicious cycle, as these same negative feelings can cause or aggravate many sleep disorders. 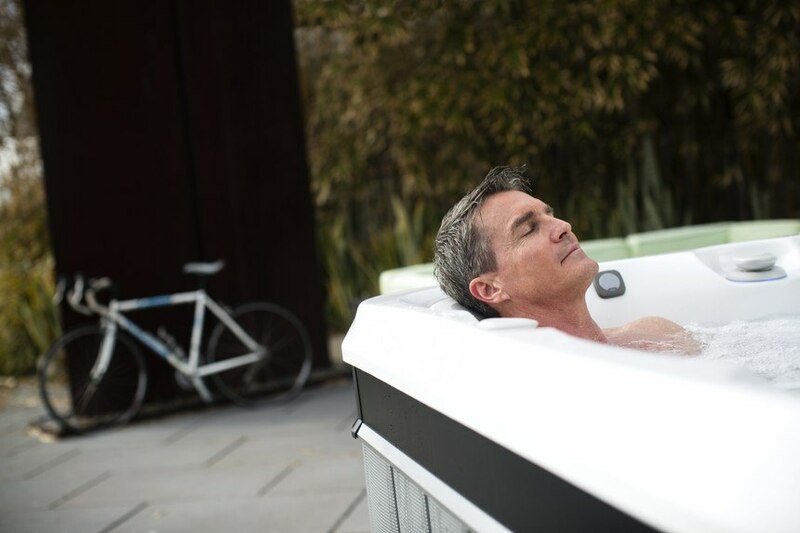 Using your hot tub on a regular basis can break that cycle and help you get to sleep. In a study of older female adults suffering from insomnia, the results indicated that soaking in hot water before bedtime leads to deeper, more restful, and more continuous sleep. Reducing your stress and anxiety levels makes you more likely to fall asleep without difficulty. Simply soaking for a little while before you go to bed will relax your nerves and muscles, making it easier to sleep. In your hot tub, you’re in your own little world, far from the stress and worry of the day. After a soak melts your cares away, you can go to bed without the problems of yesterday and tomorrow racing through your head. In addition, an evening soak is the perfect time to connect with your family. Spending quality time with your loved ones on a regular basis can help you tune out stressful distractions and focus on what matters most in your life. With peace of mind comes a peaceful sleep. America was built on hard work, and there are a lot of us out here still working hard today. Even if you’re not playing for the NFL, building houses, or climbing mountains, you may find yourself suffering from sore or aching muscles at the end of a long day. The daily routines of our jam-packed lives are more than enough to wear our muscles down. Outside of our day jobs, the strenuous physical labor continues: We work our muscles when we’re hitting the gym, hitting the bag, shooting hoops, or hiking trails. All that physical exertion, whether done for work or for recreation, takes its toll on the body. Hot tubs can help you take that pain away. The hot water and massage jets release tension and knead the toxins from your muscle fibers. Buoyancy takes the pressure off your legs, feet, and back, helping you work out the kinks and knots. Soaking in a hot tub after a hard exercise session or a long day at work is the perfect way to help your muscles recover for the next day. However, before deciding on a spa as therapy or a replacement for your prescription, you should seek the medical advice of a qualified physician. Having a hot tub makes your life better. Soaking regularly in your spa can improve your health, your sense of well-being, and your personal relationships with friends and family. Of course, in order to fully experience these benefits, it’s important to choose the right hot tub. A hot tub that doesn’t work properly, requires constant repairs, or uses energy inefficiently may add more stress to your life than it ultimately reduces. That’s why it’s best to invest in a hot tub that will be a worry-free joy to have in your life for years to come. 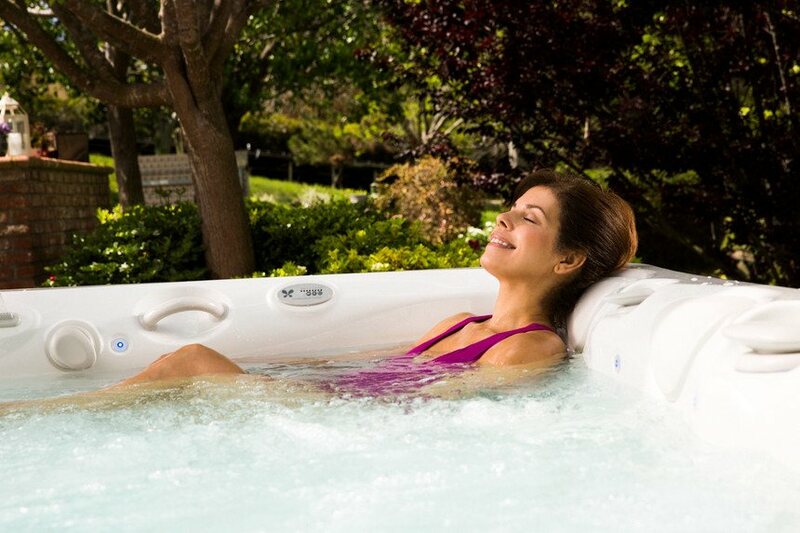 Caldera spas offer the ultimate spa ownership experience. 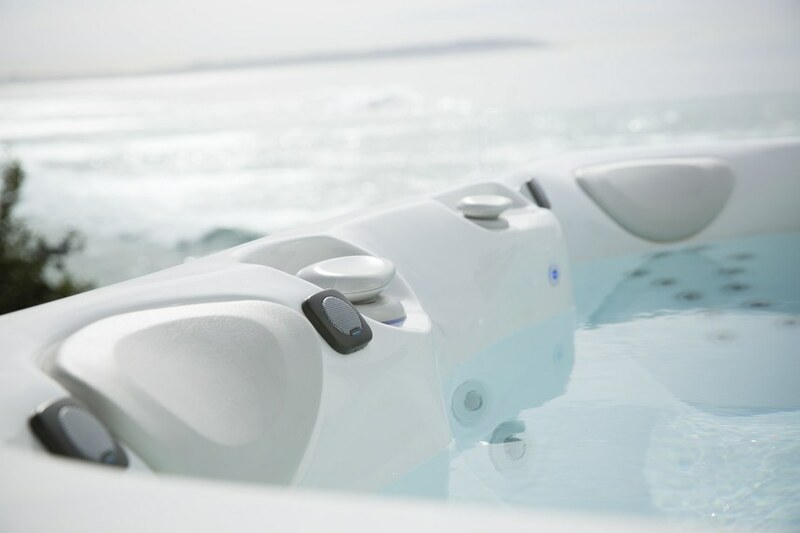 Built of the highest-quality materials and precision-designed for efficiency and comfort, Caldera spas are extremely durable and require little maintenance. Their quiet filtration systems allow you to hear the songbirds at dusk and the music of the stars after midnight. Their powerful pumps deliver deep, soothing massages that relax your muscles and enhance joint flexibility. Enticing designs beautify your backyard, while carefully considered ergonomic seating provides the perfect relaxation space, just for you. At Caldera, we take great pride in the spas we design for our customers and in the bliss and relaxation our spas bring them. Whether you want to improve your health, ease your mind, or find a new way to spend time with your friends and family, a Caldera spa is the place to start. To learn more about the best way to welcome a hot tub into your life, download our brochure. Hot Tub Health Benefits for Weight Loss—Your Holistic Approach to a Healthy Body Hot Tub Therapy for Neck and Shoulder Pain Caused by Technology Use How Much Does a Hot Tub Cost?